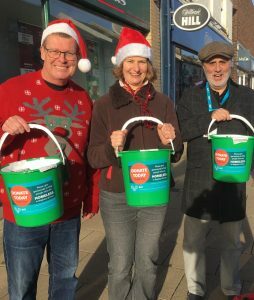 We were pleased to be able to help with Brighton Housing Trust’s street collection on Saturday 22 December in George Street in Hove (Councillors Alan Robins, Tracey Hill and myself as well as Robert Nemeth and former councillors Geoffrey Bowden and Christopher Hawtree). People’s generosity was overwhelming and – for the first time ever – the street collection at this location topped the £1,000 mark. Brighton Housing Trust (BHT) and its chief executive Andy Winter do a great job combating homelessness both in the short term and long term as do, of course, other local voluntary organisations and groups. It is utterly depressing though, that we find ourselves in the dreadful situation of rough sleeping having doubled since 2010. This statistic, of course, doesn’t include other types of homelessness and for every rough sleeper it is estimated that there are 57 more people “sofa surfing” or living in hostels and shelters. Many of these homeless people actually have jobs but simply cannot afford to rent on the open market. This is even more appalling given that this country was well on the way to reducing and even possibly eradicating homelessness ten years ago. Tragically though, through a mixture of austerity, non-replacement of sold council housing and extreme short-sightedness on housing and social policy, we now find ourselves in this awful crisis. Homelessness is a complex and complicated issue and the solutions are no less challenging but we all need to work together locally and nationally to end this human catastrophe. 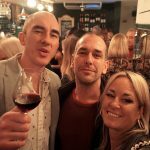 Councillor Peter Atkinson is a Labour member of Brighton and Hove City Council for North Portslade.